Of course, we all want our vegetables to be full of vitamins and our apples to be tasty and crisp. And one factor is often the key here: refrigeration. Proper cooling inhibits the proliferation of microorganisms, and freezing permanently seals freshness in these foods. The success of frozen berries, pizzas, French fries, and many other foods is also based on the expertise of our refrigeration specialists. With over 30 years experience in the baking industry GEA Refrigeration Technologies can offer you the best in advice and the best quality and reliability. Technical solutions handled by engineering experts guarantee reliability and optimum performance. 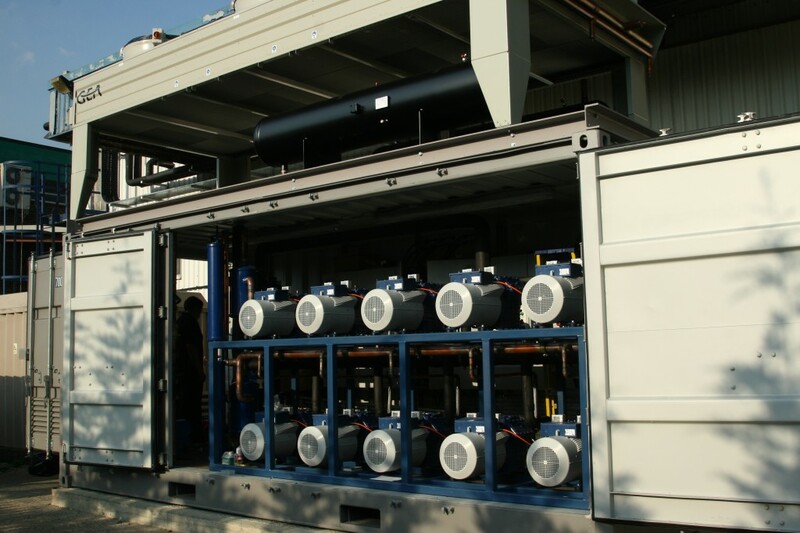 Evaporators and air flow are designed and optimized to deliver highest product quality. We adapt to your production with till 6 days runtime between stop for defrost with efficient frost management systems: SRS (snow removal system) or Sequential defrost. Equipment design is configured to your dimensions constraints without affecting access of all parts for easy maintenance and cleaning. The beverage and brewery sector places its own demands on refrigeration processes. GEA Refrigeration Technologies has succeeded in becoming the market leader in refrigeration by investigating in depth the specific aspects of each sector. In breweries cooling is required at certain points. For example, air coolers keep hops at a temperature between 0 and 1 °C and maintain relative humidity of 55 to 75 %. The wort, additionally, must be cooled from its boiling point to approx. 7 to 12 °C, in order to prepare it for the fermentation process. You may take your next beer from your own fridge or fresh from the tap in your bar: in either case, our refrigeration technology may not have set the drinking temperature, but in all likelihood has contributed to assuring just the right taste. About two-thirds of the worldwide produced milk is sold in the form of daily/school milk, buttermilk, milk powder and desserts. The remainder is used for the production of cheese, butter, food ingredients such as ice cream, sauces and coffee creamer, semi-finished products for the pharmaceutical industry, and even for toothpaste. Whereas earlier, every village had its own dairy, increases in scale now mean that most countries just have a few large producers. Our dairy customers use the oldest form of refrigeration in the cooling process after pasteurisation and homogenisation. Our staff are very familiar with this simple procedure of ice water and milk using a plate exchanger, and with the issues of bulk processing and storage of such a delicate product, when it comes, for example, to hygiene, climate control, minimal energy usage, large capacity and reliability. The export of seafood products has attained a leading commercial role throughout the world. For this development we can thank outstanding developments in advanced cooling and freezing technologies. Ice machines, cold-storage facilities, and various freezer products by GEA Refrigeration Technologies assure that fish successfully make the long journey from the depths of the ocean to our dinner plates, and that they land there in excellent quality. Refrigeration processes and products, and temperature control of transported goods: this is the specialty of GEA Refrigeration Technologies – since the end of the nineteenth century. The growing fish industry profits from this experience. Seafood, of course, is increasingly growing in popularity. On the one hand, the number of health-consciousness customers is growing who appreciate the beneficial properties of seafood. Highquality protein and polyunsaturated fatty acids are the essential constituents of the light and healthy cuisine favored by so many nowadays. On the other hand, fish is also a staple of diet in many countries.It’s not always simple, though, for the layperson to recognize fresh fish. The characteristics of a really fresh fish – glossy skin, firm and rounded lenses, and bright-red gills – can be determined only by studying the entire fish. It takes the specialist years of experience to be able to evaluate the freshness of a fish fillet. To stay on the safe side, consumers resort increasingly to the deep-frozen alternative – and are enthusiastic about what they get. The good quality of frozen seafood now convinces even die-hard gourmets. 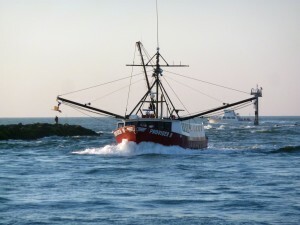 To maintain this quality and satisfaction, fishermen, fish processers, and all others involved in the transport and distribution chain must observe strict food regulations and keep their sensitive wares – i.e., fresh fish – perfectly cooled. Nothing is left to chance with GEA’s refrigeration technology. You catch the fish, and we capture its freshness. Our refrigeration technology is on board on many large and small fishing ships and seafood factory vessels. Fruit and vegetables are tasty and healthy – but they are a delicate matter. And for this reason you should not leave to chance the careful temperature control and gentle product handling in the chilling or freezing processing lines of these sensitive foodstuffs. GEA Refrigeration Technologies makes sure that your foods will stay at the very top of the consumer’s shopping list, and that they will leave behind no bitter taste. After all: energy efficiency and environmentally friendly refrigerants enjoy absolute top priority with us. It is especially deep-frozen food that makes it easy as pie to eat healthily and with great variety without great specialist knowledge, sophisticated nutritional plans, or calendars of the season. Whether it’s crunchy green peas in summer or radiantly red raspberries in winter: the consumer is awaited during every season by a tempting diversity of fruit and vegetables that keep their freshness, color, flavor, shape, and vitamin content. In addition, frozen foods make it easier for the growing number of us with allergies and food intolerances to adjust our diet to personal needs. Nutrition scientists can heartily recommend frozen foods. Countless studies have for many years proven that properly frozen vegetables are not only equivalent to their fresh counterparts with respect to vitamin content: it has indeed been evidenced that frozen vegetables in any case are superior to those foods that have been stored for days in refrigerators or that have been underway for long periods. Deep-frozen foods also represent hygienically flawless products for the consumer, since microorganisms such as bacteria need above-zero temperatures to grow and proliferate. But it’s not only science that gives us the green light here. Even dyed-in-the-wool gourmets and star cooks increasingly go to the freezer area of the supermarket: they, too, value the freshness, availability, and the good taste of frozen fruit and vegetables. In the majority of households, to be sure, cooking and eating have by now considerably evolved. After a long and strenuous day at work, consumers now above all expect the preparation of a meal to be quick and easy. Health still remains high in their priorities, however. With chilling and freezing systems by GEA Refrigeration Technologies, you can be sure that all hygienic standards are met and that the cooling chain remains a simple matter from the organizational viewpoint. After slaughtering, the cold chain begins – and with it our responsibility toward the consumer. Effective cooling and freezing of meat and poultry is essential for flawless and tasty food to become successfully marketable merchandise. GEA Refrigeration Technologies furthermore ensures cost effectiveness, since for us, energy efficiency and environmentally friendly refrigerants enjoy top priority. For freezing, GEA I-VRT carton freezers are a highly cost-effective solution, thanks to their full inventory control and minimal labor requirements. VRT stands for variable retention time. The system permits various products to be simultaneously frozen or cooled. This technology had already proven reliable in several factories worldwide and rapidly paid for itself. Producers as well as consumers profited from improved storage life and product quality. Additional advantages of the VRT freezer: the efficient freezing process reduces work effort and noticeably cuts energy costs. A fault diagnosis program and a remote maintenance modem furthermore guarantee practically 100 % availability. Another benefit is the enormous holding capacity of the compact freezers, which in turn saves storage space and also make the devices advantageous for just-in-time production. Our biggest freezing plant is as large as a multi-family dwelling, and strong enough to hold up to 30,000 cartons. The goods can be frozen for variable time periods of 24, 32, or 36 hours. The frozen food is brought in on nine different production lines, three of which serve the variable infeed systems. 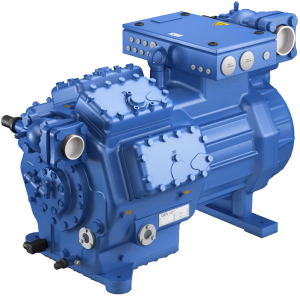 GEA Refrigeration Technologies also scored in the sector of screw compressors with outstanding product characteristics such as reliability as well as simpler controllability and troubleshooting via the function-filled GEA FES GForce control panel. The compressor units are designed such that the unavoidable replacement of the thrust bearing can be easily carried out, with neither compressor nor seals being removed in the process. Moreover, refrigeration unit and freezer harmonize with each other perfectly and can be offered from one source. Southern Sales & Services supply GEA Bock compressors in operation all over the world ensuring effective cold storage. This has a crucial effect on the quality and the keeping quality of your merchandise – and on your good reputation. 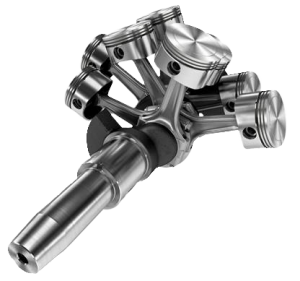 We offer product selection designed around your individual particular application requirements. Our advanced technical team can assist you with the bespoke design process and fabrication using optimal solutions for your new compressor pack . If you are planning on upgrading your cold-storage facilities then please do not hesitate to contact us regarding the case study of your original inefficient refrigeration system. Older technology to chill/freeze cold stores is found to be inadequate and are now being replaced with brand new bespoke design systems using GEA Bock air-cooled HA compressors. The government funded ECA – Enhanced Capital Allowance scheme is now used to further reduce your carbon footprint and save on your business Energy bills. 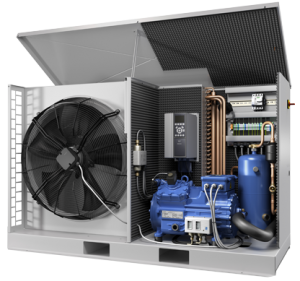 Invest the initial capital and then claim 100% of the products and installation costs using the GEA Bock range of air-cooled compressors, which qualify as one of the listed energy saving products required to benefit from the scheme. Southern Sales & Services are a well-versed team when it comes to storage and transport of the newest innovations from the convenience food sector. The trend to prepared and ready-to-eat products is reflected by appreciably greater refrigeration needs and, not least, by great changes in the appearances of supermarkets. It is especially the larger food retailers who are returning to their roots and are banning many non-food articles from their shelves. They increasingly offer their customer a larger selection of fresh, prepared, and ready-to-eat products: for example, salad mix for the office lunch break. This product group requires additional energy for logistics, stores, and presentation. In addition, the trend to longer opening hours is also associated with greater energy consumption. What could therefore be more logical than to strike a good balance between quality and costs with an investment in an advanced, energy-efficient refrigeration system? Every single area of the industrial branch of food cold stores and distribution poses its specific requirements for effective temperature control. Depending on the application, experts at GEA Refrigeration Technologies provide the right temperature – cool or ice-cold, and exact to one degree if necessary. 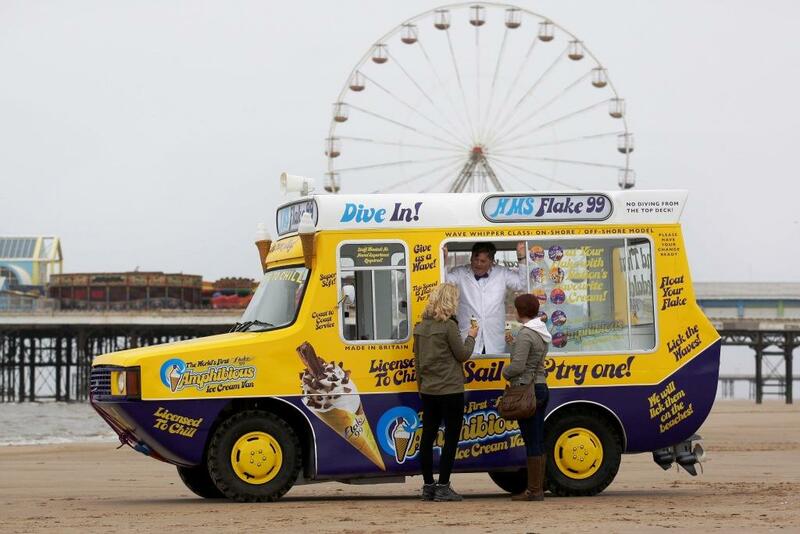 Southern Sales & Services offer the latest in compressor technology for ice cream vans in the mobile Chilled Vending Industry. 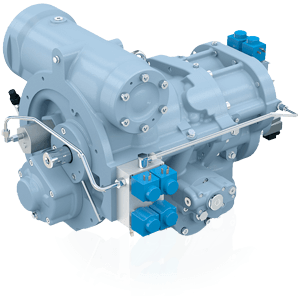 There are a variation of compressor models you can choose from to meet your application. The most popular are the GEA Bock FK2 (Blue) and the all new GEA Bock FK20 range (Silver). As an alternative we also offer the York ER210R compressor and the Valeo/Seltec TM series range of compressors. For the latest FK20 range shown below, are links to the product brochures for each individual model. 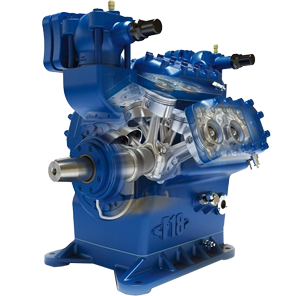 These will provide you with technical data, performance date, operating limits, drawings, dimensions and any other information you require to make your compressor selection.